The Arabic Course for English-Speaking Students is a comprehensive and popular course for the teaching of the Qur\'anic and Traditional Arabic, originally devised and taught at the renowned Madinah Islamic University, catering for the non-Arabic speaking students from all over the world. Over the years, this course has enabled students to become competent in their use of the Arabic language and to participate and benefit from scholarly pursuits such as Qur\'anic exegesis, hadith, fiqh, sirah, history, and classical and modern Arabic literature. It is concise (consisting of only three books, reasonably short) but extensive in their coverage. 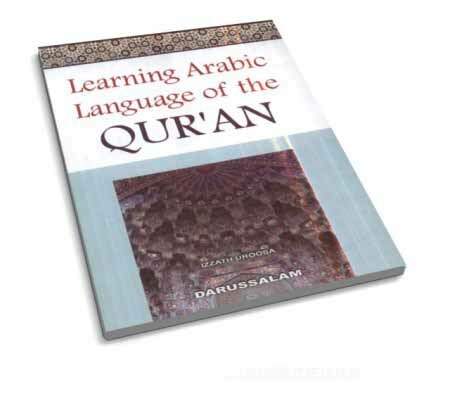 It combines modern Arabic vocabulary with Islamic terminology used in the Qur\'an and Sunnah. It helps acquire an understanding of hundreds of Qur\'anic verses, ahadith, Arabic parables and poetry. The author presents Arabic as a living and vibrant language and takes examples from Arabic in everyday use, as also from the Qur\'an and the Sunnah, so that student learns the language. He also acquires an understanding of hundreds of Qur\'anic verses, ahadith, Arabic parables and poetry. In this way, ethical teachings are infused into the whole, and the student becomes directly involved in the study of the Qu\'ran and the Sunnah while simultaneously acquiring a sound understanding of the Arabic language.